Want to know what you should be doing when it comes to AdWords management? By taking the time to manage pay-per-click campaigns, you can learn what’s working, and what’s not, so you can make changes and boost conversions. In this article, we’ll show you how easy it is to make time for AdWords management so you don’t have to spend your budget on pay-per-click management services, and your campaigns can keep converting. If you’re looking to make money from your paid search campaigns, you need to make sure that the money you’re spending on daily ads is less than the revenue you’re generating. Luckily, if you’ve linked your Google AdWords account to Google Analytics, you can easily measure your ad campaign’s ROI. First, set the specific time period you want to manage in Google Analytics. 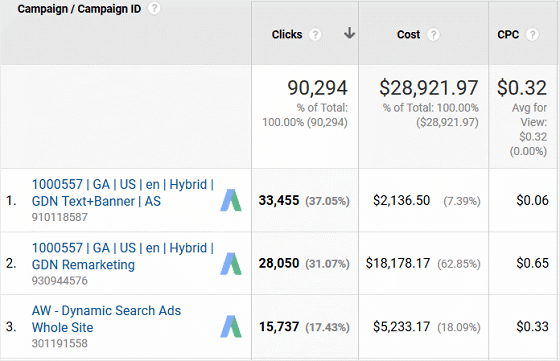 Then you can see how many clicks each campaign has received, the total cost of each campaign, and the cost-per-click (CPC) within that time frame. Next, compare this to the daily budget you have set in AdWords for each campaign to see whether you are spending more than you’re making. 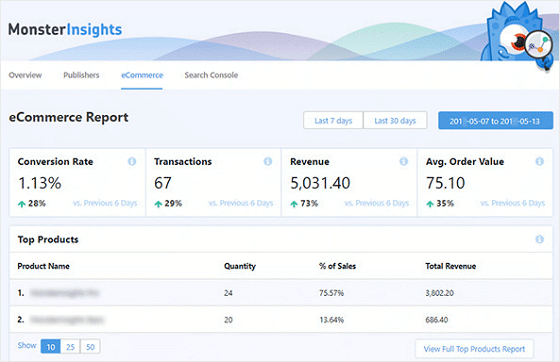 If you want an easy way to see individual products being sold on your eCommerce site, use MonsterInsights, the best Google Analytics plugin on the market today. Plus, you can see individual product names, complete with the number sold, % of sales, and total revenue. By checking out this data, you can see how your ad campaign spending matches up against the actual products you’re selling. Another thing you can easily check in both AdWords and Google Analytics is AdWords conversions. If your goal is to spend money on AdWords campaigns in an effort to get people to click on your search results ads, it’s important to make sure your conversion rate is in line with how much money you’re spending. After all, there’s more to ad campaigns than working on your website’s SEO, though that’s definitely a crucial part. Track things like product purchases, form submissions, in-app actions, and phone calls to your company to see if your business is growing and if your ad campaigns are working. Just make sure when you create a goal in Google Analytics to track your AdWords campaigns, that you set a monetary value to the conversion. This way you can get a true idea whether your ad conversions are making you money or not. Remember, anyone can bid on a keyword at any time, including the ones you’re using for your own ad campaigns. When you’re doing your routine Google AdWords management, make sure to check out the competition. You’ll want to see if anyone is outbidding you, so you can stop wasting your ad budget on keywords you’ll never win. You’ll also want to see if anyone has dropped from bidding on a popular keyword so you can lower your bid and save money. Next, run a report and see whether your daily spending amount is meeting the budget you originally set for yourself. You may find that you’re spending more money than you thought, which can hurt your business. One of the most important parts of AdWords management is making sure your keywords are working for you and not against you. One of the easiest ways to check your competition is to use SEMrush. All you have to do is enter the domain of your biggest competition into the search bar. 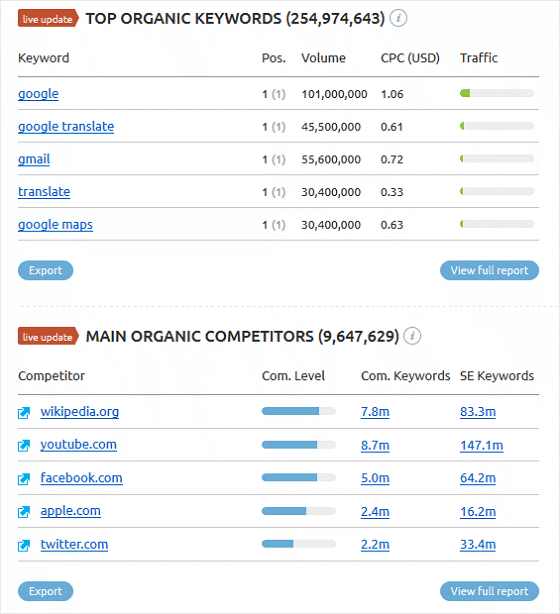 Then you’ll see which keywords they use the most. You can then use this information to tweak your ad campaigns to compete against them. You’ll also see your competition’s biggest competition, which, in turn, is your biggest competition too. 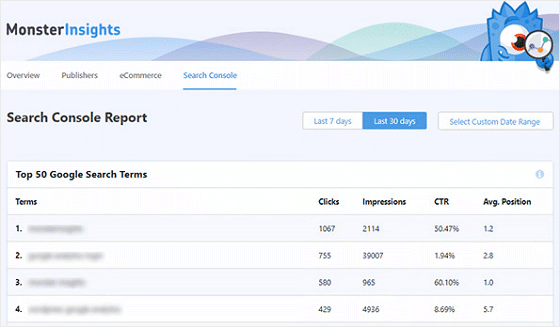 In addition, if you’re using MonsterInsights, you can use the Search Console Report. Here you’ll see your top 50 Google Search Terms. You’ll also see number of clicks, impressions, click-through rate, and average position of each term. This data is vital to your AdWords management. After all, without strong keywords, your ads won’t appear in the right search results and the right people won’t see what you have to offer. And there you have it! The easiest ways to manage your AdWords campaigns, without spending too much time or having to hire a professional. If you just do these few things, you’ll be well on your way to making more money than ever. For more ways to increase the success of your AdWords campaigns, whether you invest time in AdWords management or not, check out our helpful guide on AdWords strategies to boost ad clicks.